What can I say! Thank you so much for sharing with us your views on Castle Howard and for the lesson on how to get the most out of life. You were inspiring and forced home so many of the messages that I had been trying to get across all day. Your passion and enthusiasm was infectious and even the most sombre Yorkshireman could not have been anything but impressed. 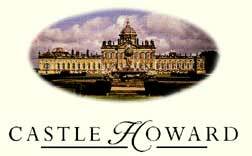 Castle Howard Estate Ltd. Registered Office:The Estate Office, Castle Howard, York. YO60 7DA.